The Falcons re-signed Hardy on Thursday, Will McFadden of the team's official site reports. Analysis: A four-year veteran, Hardy has played a bit role at receiver for the Falcons, totaling 76 catches (on 118 targets) for 751 yards and nine touchdowns in 41 games. 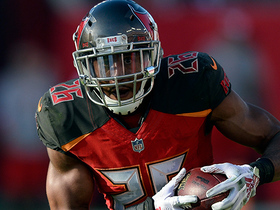 He does hold some sway as a returner, but the signing of Kenjon Barner indicates Hardy will have competition for those spots on the depth chart in 2019. Hardy produced 14 receptions for 133 yards and two touchdowns over 16 games in 2018. 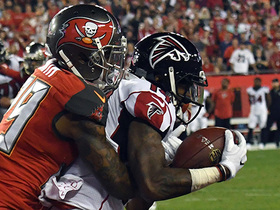 Analysis: With first-round rookie Calvin Ridley in the fold, Hardy took on a smaller role than he's had in recent seasons with Atlanta. The 27-year-old was still a reliable No. 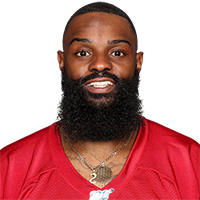 4 receiver for the Falcons, though, and it wouldn't be a surprise if he re-signs before or after he becomes an unrestricted free agent in March. Hardy caught all three of his targets Sunday, accumulating 29 receiving yards and one touchdown during a 40-14 victory against the Cardinals. Hardy caught three of four targets, compiling 30 receiving yards and one touchdown during Sunday's 34-20 loss to Green Bay. Hardy caught one of two targets for six yards during Atlanta's 31-17 loss to New Orleans on Thanksgiving. Analysis: The veteran receiver has fallen off over the past month. He's been targeted just thrice over his last four games, totaling 13 yards. Hardy has been targeted more than twice in a game just once all year and hasn't really been a contributor in a prolific Falcons passing game. Sunday brings the Ravens' top-five pass defense. Hardy caught his only target, a 7-yard gain, during Sunday's 28-16 loss to Cleveland. 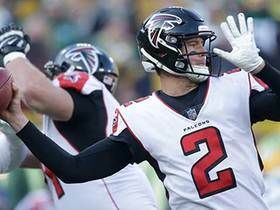 Analysis: Despite taking part in a revitalized Falcons pass offense ranked fourth in the league, Hardy has been seldomly used in Atlanta's scheme. Five of Hardy's seven catches this season came during the Falcons' recent three-game winning streak, but -- even then -- he failed to garner much production. Next up is a Dallas pass defense ranked in the top 10 of the league, giving up just 232 yards per game. 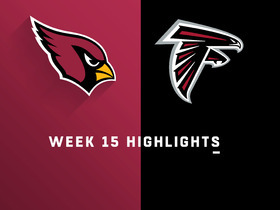 Watch highlights from the Arizona Cardinals vs. Atlanta Falcons for Week 15 of the 2018 season. Atlanta Falcons wide receiver Justin Hardy stares down Arizona Cardinals safety Tre Boston after a 5-yard touchdown catch. 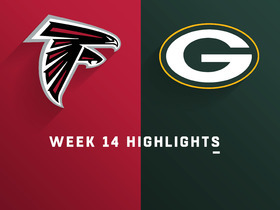 Watch the best plays from the Week 14 matchup between the Green Bay Packers and Atlanta Falcons. 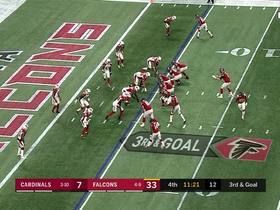 Atlanta Falcons quarterback Matt Ryan finds wide receiver Justin Hardy for a 19-yard touchdown. 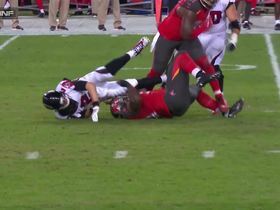 Falcons Matt Ryan finds Just Hardy for a 6-yard touchdown. Falcons quarterback Matt Ryan finds wide receiver Justin Hardy for 27-yard gain. 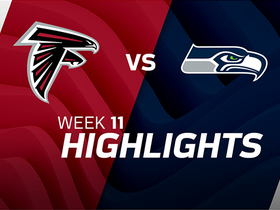 The Atlanta Falcons take on the Seattle Seahawks in Week 11 of NFL action. 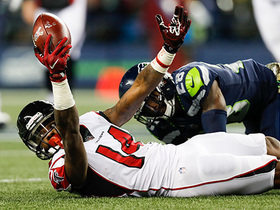 Justin Hardy pulled off the seemingly impossible with a shoestring catch behind a diving Seattle Seahawks defender on Monday Night Football. 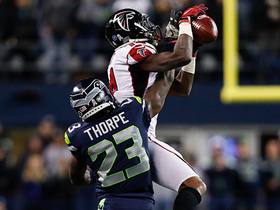 Seattle Seahawks cornerback Neiko Thorpe knocks pass out of Atlanta Falcons wide receiver Justin Hardy's hands on third down.